We receive calls daily from individuals who have either found or been left a small to medium size group of U.S. coins. These coins are generally a mix of common date U.S. silver dollars, 90% silver, Lincoln Pennies from the Wheat Series and so forth. In an effort to better guide our audience as to what they have, this article will highlight the most frequently found coins in the U.S American household and what they are worth. It will also give a brief explanation of where there might be rarity, or numismatic value, in any one of the categories that follows. 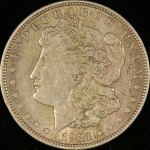 The Silver Dollars that are most frequently found in the home are the Morgan and Peace dollars. These were struck in large quantities from the late 1870’s to the early to mid 20th century at various mints. The main way that dollars are bought and sold are in rare coin market are in three categories: Pre-1921 Morgans, 1921 Morgans and Peace Dollars. Yes, there are better dates to be had in each group depending on what mint struck the coins and in which year. An example of this would be the 1879 issue. The 1879 with no mintmark, struck at Philadelphia, is a common coin that falls into the pre-1921 category. The 1879 with the “CC” mintmark, struck at Carson City, is worth several hundred dollars in low grade to many thousands in high grade. But for now, lets focus on just the common dates and the common groups. 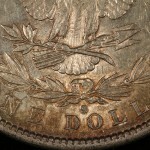 In terms of value, the Pre-1921 common date Morgan Dollars are worth more than the 1921 Morgans and the common date Peace Dollars. The reason for this is simply supply and demand. All three groups of coins melt for the same value, which is by the way, .7734 oz. pure silver. The difference in value is not huge, we are talking .75 to $1.25 all things being equal. 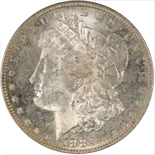 The Pre-1921 Morgan Dollars were struck from 1878-1904 and they were struck in huge quantities from many mints. These mints include the Philadelphia Mint, the Carson City Mint, the New Orleans Mint and the San Francisco Mint. 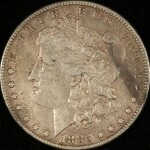 When people call me, they are sometimes surprised to find out that there 1883-O Morgan Dollar is worth only $24 or so. Keep in mind that these same 1883-O silver dollars were expended in huge quantities in the 1950’s -1970’s to those lonely individuals who on their tenth Crown Royal and 20th Lucky Strike pulled the handle on the slot machine in Vegas and won $10 or so. 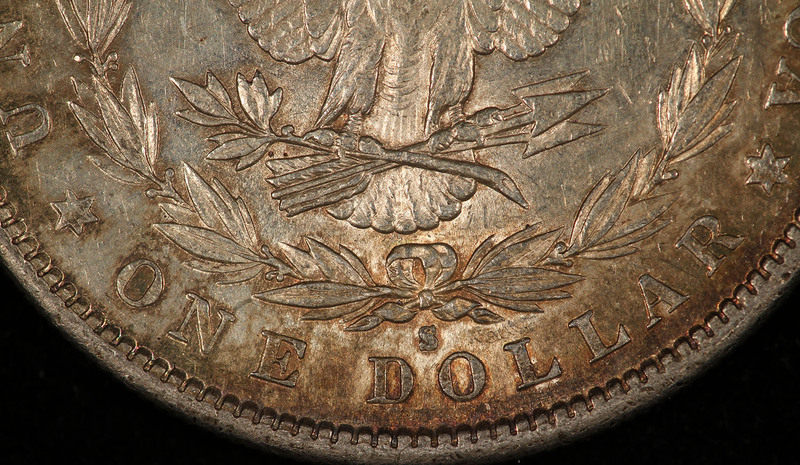 Back then, a silver dollar was just that ….a dollar. And guess what, those same coins traveled home with that individual, and after a brief stop at the Betty Ford Clinic, got stuffed into a drawer or box somewhere in the house. The second main group is the 1921 Morgan Dollars. All of the 1921 issues are common, no matter whether struck at Philadelphia, San Francisco(S) or Denver (D). These will always trade for a small amount back of the Pre-1921 issues. So if Pre-1921 Morgans are trading at $25 per coin, the 1921 issues will be around $23.75 to $24, all things being equal. There is one exception to the 1921 Morgan Dollar and that is the 1921 Zerbe Proof, it is rare and very desirable. Also, forget it…you do not have one. The third group is the Peace Dollars. The Peace Dollar series is not as extensive as the Pre-Morgan Dollar Series with regards to the number of rarities and collectible varieties, but it is still worth noting some key dates to look for. 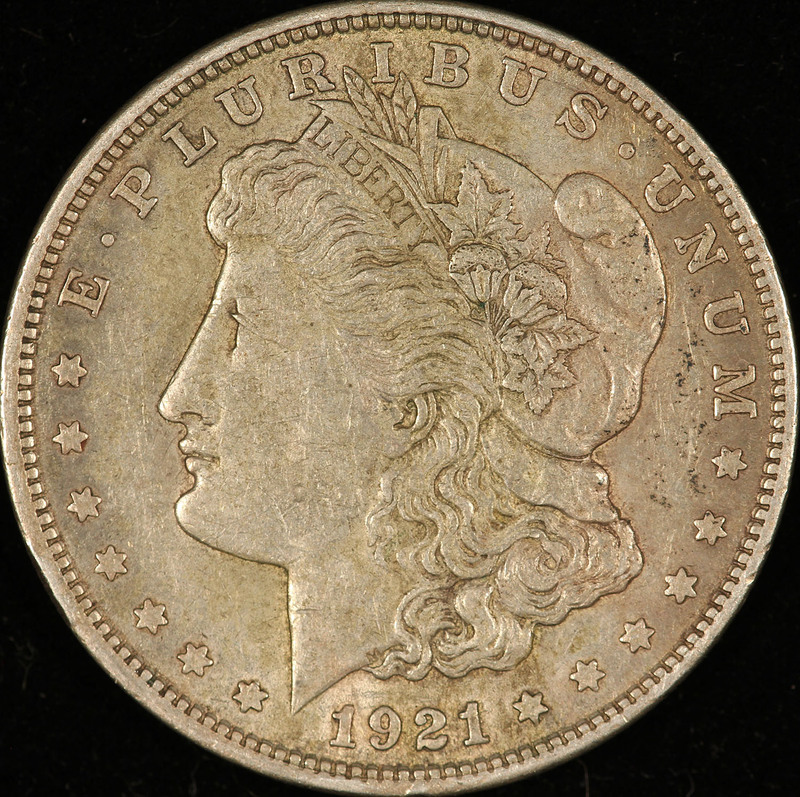 In 1921, the United States Mint struck a refined version of the Morgan Dollar, the 1921 Morgan (after a 17 year hiatus) and they also struck the new Peace Dollar which was issued as a commemorative peace coin. 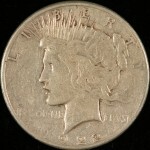 The 1921 Peace Dollar is one of the better dates of the series and has more value than just silver in average grades. 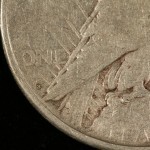 It was struck in high relief and the Mint quickly discovered that the high relief striking of the 1921 Peace Dollar was not going to do well in circulation. 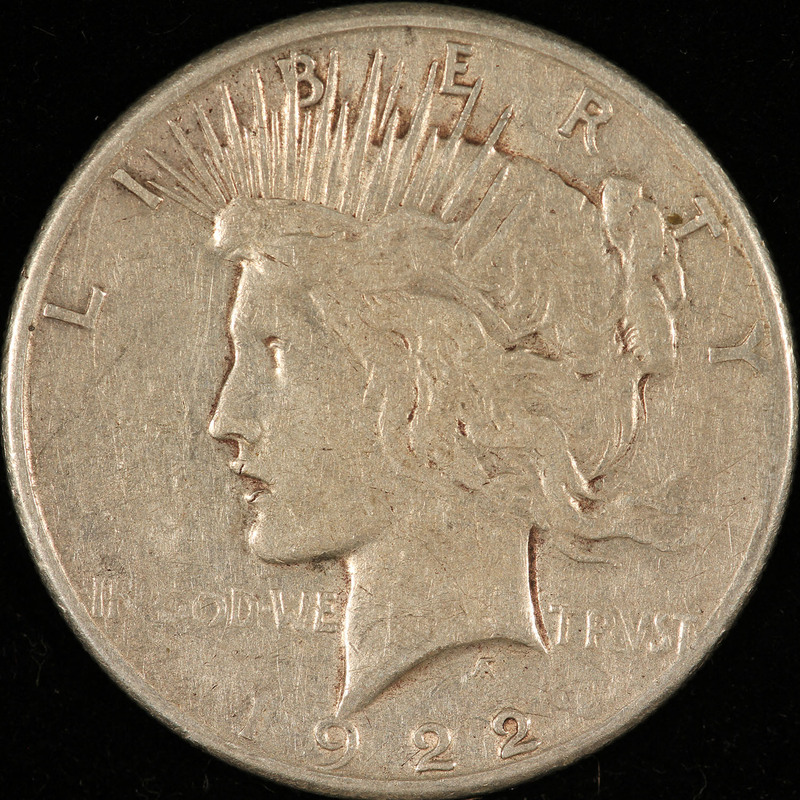 So, in 1922, the Peace Dollar design was slightly modified and struck in the new format until 1935. Due to the one year status of the 1921 Peace Dollar and its’ high relief design, it is considered a collector coin. Aside from the 1921 Peace Dollar, the only other date that really has value significantly higher than its’ metallic value in circulated condition is the 1928 Philadelphia issue, again not the 1928-S, the 1928 with no mintmark. Keep in mind that there are several dates in the Peace Dollar Series that are quite valuable in mint state condition but that is were Meridian Coin comes in. We will gladly evaluate any of the better dates for conditional significance. The mintmark for the Peace Dollar is in a different location then the Morgan Dollar. Please see image for reference. In the end, any of the above coins in average condition with no problems are worth around $24 to $26 in today’s market. There are always exceptions but this is a good baseline for evaluating these types of coins. 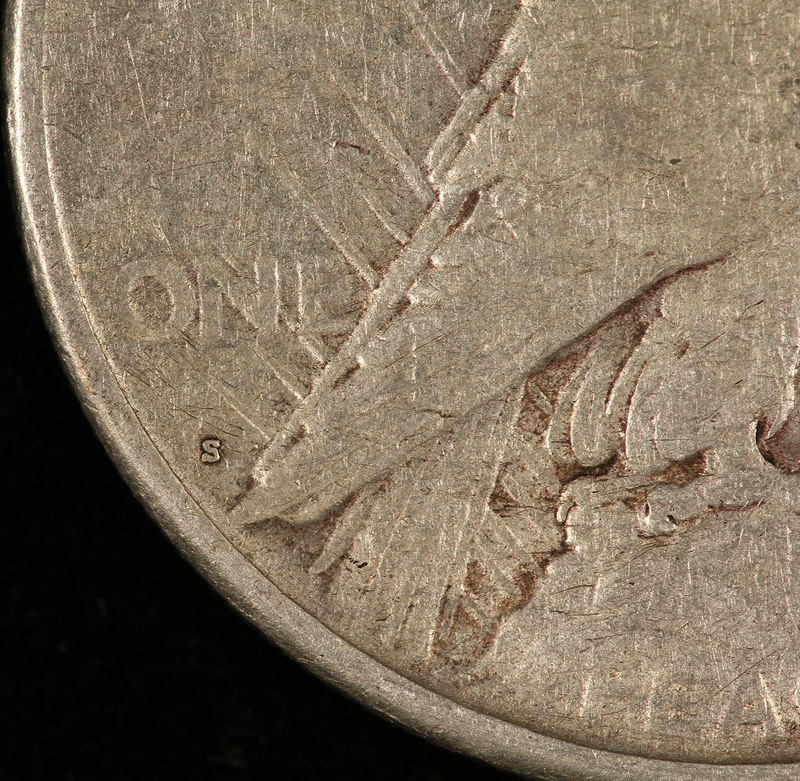 Keep in mind that coins that are damaged, cleaned, holed, excessively worn are worth less….but that is for another article. Please call Meridian Coin or stop by for any sales or purchases of the aforementioned silver dollars. We are always willing to buy, sell and trade coins. The next article in the ABC’s of Household Coins Values will be on 90% silver. Stay tuned.